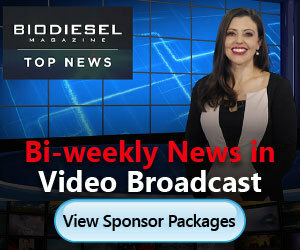 Biodiesel’s use in heavy-duty diesel applications continues to grow in California thanks to the state’s Low Carbon Fuel Standard, but how will California’s plan to further cut NOx emissions by another 90 percent affect the use of biodiesel? The National Biodiesel Board's annual awards recognize a diverse group of individuals and organizations that have made significant contributions to biodiesel. The commercial biodiesel industry wouldn't be where it is today without these individuals. During an EU Trade Defense Committee meeting member states’ representatives discussed and approved antisubsidy duties against Argentinean imports of biodiesel. A price undertaking agreement between the EU and Argentine producers was also approved. Germany's UFOP says European oilseed producers are the losers in the Jan. 30 decision of the Trade Defense Instruments Committee meeting. UFOP criticizes approval of the Argentine government's proposal for a so-called price undertaking agreement. Iowa Secretary of Agriculture Mike Naig awarded Quick Oil Co. with this year’s Biodiesel Marketing Award and Casey’s General Stores with the Ethanol Marketing Award. The awards were presented to the honorees at FUELIowa’s annual meeting Jan. 15. PMCI has changed its name to FUELIowa. According to association representatives, the new branding strategy succinctly captures the important role played by independently owned local businesses that provide fuel for vehicles, equipment and heating. Between the fight for year-round E15, small-refinery exemptions and more, Iowa Renewable Fuels Association Executive Director Monte Shaw said at the 2019 Iowa Renewable Fuels Summit that 2018 was his toughest year yet working for the industry.